THPRD aims to remove barriers to participation by fostering an inclusive culture and offering programs that celebrate our diverse population. Efforts include translation services, gender-neutral restrooms, multicultural events, and multilingual signage. Since 1958, THPRD has benefited from the support and fundraising of the Tualatin Hills Park Foundation, whose mission is to develop resources to ensure access to recreation for all THPRD residents. The Park Foundation takes the lead on projects that reach beyond what the District can accomplish with tax revenue and user fees. The Park Foundation provides resources for special projects the District cannot fund alone, helping to assure that all people, regardless of age, ability, or background, are able to enjoy THPRD’s outstanding parks, facilities and programs. Tualatin Hills Park Foundation designed Access for All to expand inclusive and unifying recreational activities for all members of our community. The need is rooted in the rapid demographic changes of the Washington County area served by Tualatin Hills Park & Recreation District. Parks provide a prime opportunity to reduce cultural barriers and promote a community model of inclusivity and shared well-being. While THPRD has been highly successful in reaching out to underserved populations, public resources are limited. Demographic changes can strain communities and create barriers for sharing civic and cultural institutions. 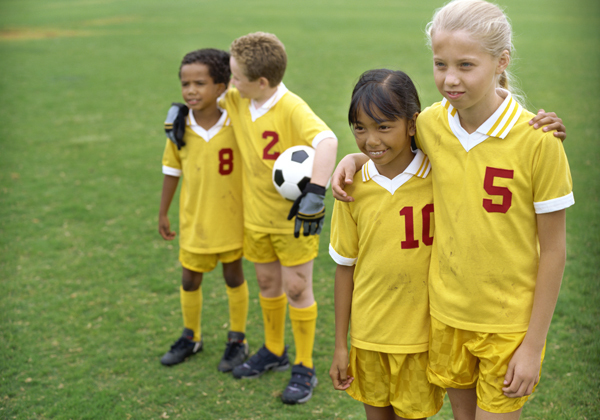 Imagine a 21-acre sports park where everyone is welcome and included. 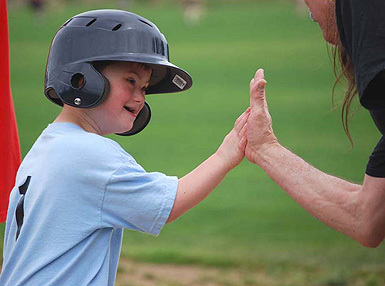 Imagine a place where people of all abilities are invited to experience the joy of sports (hitting a ball, making a catch, scoring a goal), and the social connection and camaraderie of being part of a team. 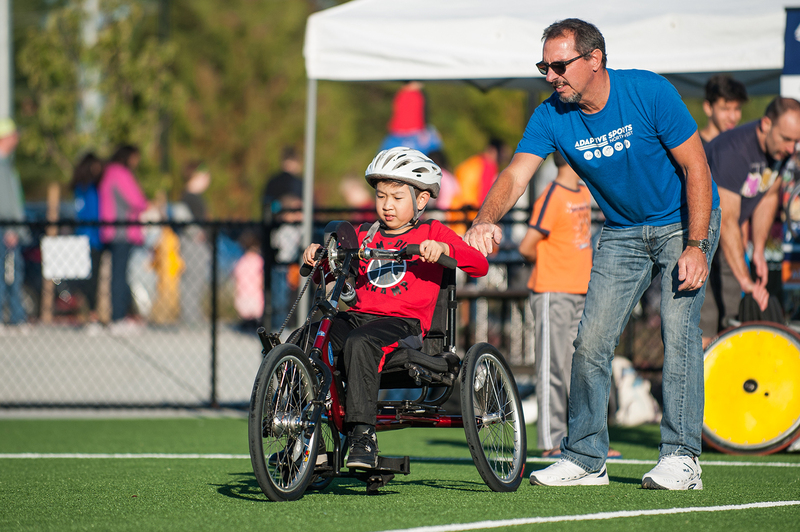 Imagine a park designed from the very beginning to provide inclusive sports and recreation to everyone. In October 2014, THPRD celebrated the Grand Opening of this new community sports park, Mountain View Champions Park, in Aloha. It is the first park of its kind in the region, and features Oregon's first athletic field for people of all abilities. In developing plans for Mountain View Champions Park, THPRD formed a Champions Too Steering Committee composed of representatives from over 20 disability service organizations. Committee members played an integral role in ensuring the park is inclusive for people of all abilities. THPRD continues to collaborate with this committee to create diverse programming for children and adults experiencing disabilities. 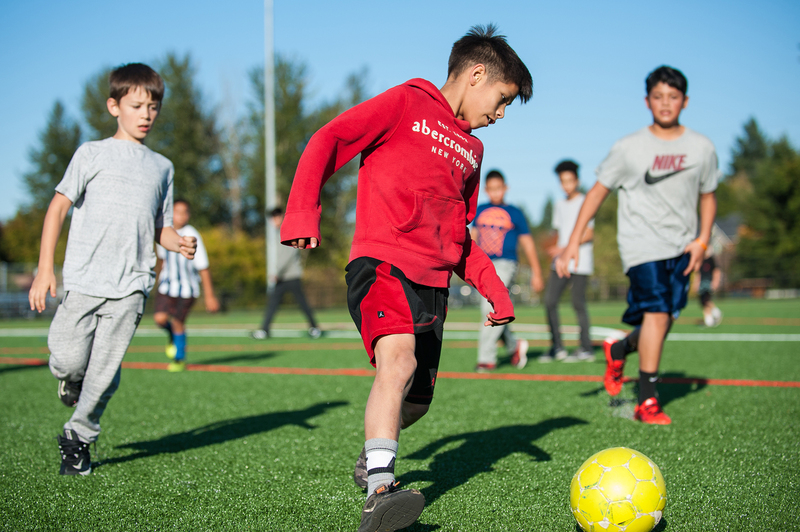 Collaborators include representatives from Special Olympics Oregon, Adaptive Sports Northwest, Autism Society of Oregon, and the Beaverton School District's Special Education Department. Neighborhood families speak some two dozen native languages, and nearly 60 percent of neightborhood students are eligible for free or reduced lunch. While the new all-inclusive sports park will be used most intensively by the 15,000 people who live within a five mile radius of the site, the unique character of the park is expected to draw people from throughout the region, whether through organized sports leagues or simply families seeking a place where members of diverse ages and abilities can feel welcome together. Parks are ideal democratic gathering spaces, where people can reach across cultural barriers to play for the same team and where children and families can meet on the same playground. The planned park will exemplify the values of shared community space, where everyone is included. Mountain View Champions Park will be visited by approximately 200,000 people per year, and used repeatedly be approximately 10,000 visitors. Approximately 40 percent of frequent park users will be people experiencing disabilities and their families (including non-family support providers). Ethnic communities will use the park in approximate proportion to their population in the surrounding community. Ultimately, the entire region benefits from a unique park space exemplifying the values of a shared society in which all people are included and welcomed. Through Access for All, Tualatin Hills Park Foundation and THPRD raised $1.58 million to support the construction of amenities to enhance accessibility in accordance with the project's vision. Together, we can provide Access For All and continue the proud history of the Tualatin Hills Park & Recreation District.